Top Queensland mare Houtzen will have one run before the Magic Millions Sprint at the Gold Coast. Top mare Houtzen is likely to have only one run before trying to add to her Magic Millions carnival record. Houtzen won the 2017 Magic Millions 2YO Classic in brilliant fashion before going on to race against some of the best sprinters in Australia. She has won six races and just over $1.9 million making her one of the best performed mares to be produced in Queensland. At her most recent start, Houtzen was an unlucky sixth in the Group One Manikato Stakes at Moonee Valley on October 26. Trainer Toby Edmonds has put the Manikato run out of his mind as he plans a relatively easy summer for Houtzen. “Perhaps things could have been different in the Manikato but you can’t do much about now,” he said. The Gold Coast trainer plans to run Houtzen in the Listed Bribie Handicap (1000m) at Doomben on December 15. “She can then go straight into the Magic Millions Sprint over 1000 metres. After that we can think about the autumn and winter,” Edmonds said. The Gai Waterhouse and Adrian Bott-trained Invincible Star returned to winning form at Rosehill in Sydney and will also be aimed at the Magic Millions Sprint. Edmonds is also likely to again play a major role in the $2 million Magic Millions 2YO Classic on January 12 with Betaima. 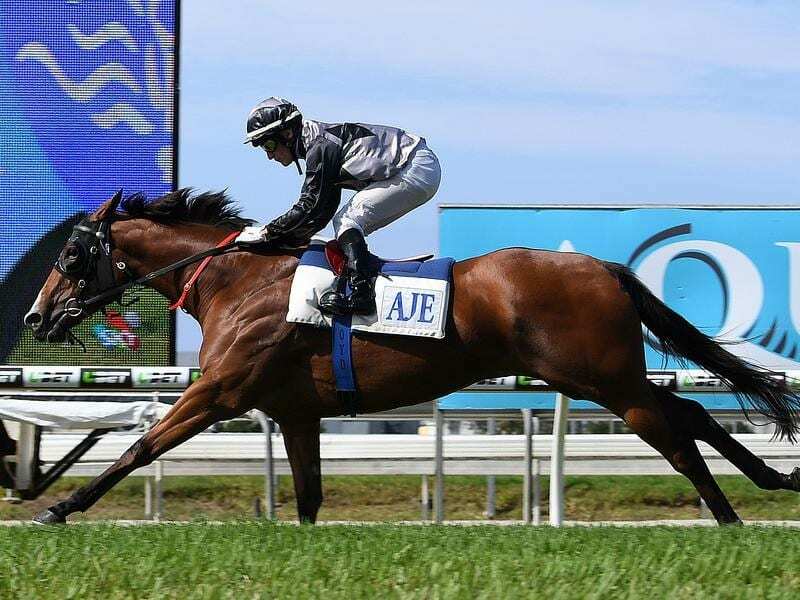 The filly was an impressive all-the-way winner at Doomben on Saturday to take her prize money beyond $120,000.